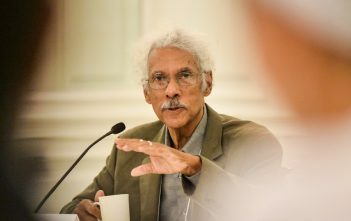 Albert J. Raboteau, Henry W. Putnam Professor of Religion, Emeritus at Princeton University is a specialist in American religious history. His research and teaching have focused on American Catholic history, African-American religious movements and currently he is working on the place of beauty in the history of Eastern and Western Christian Spirituality. His books include Slave Religion: The ‘Invisible Institution’ in the Antebellum South, A Fire in the Bones: Reflections on African-American Religious History, Canaan Land: A Religious History of African Americans, A Sorrowful Joy and most recently American Prophets.